Guests visiting for Midland Theatre events receive a discounted rate of 10% off the best available rate. 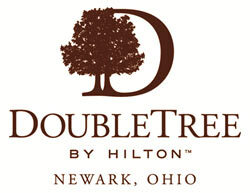 At DoubleTree by Hilton™ hotels, every little thing we do adds up to Create A Rewarding Experience for our guests (CARE). Our hospitality starts with a warm chocolate chip cookie upon arrival and continues through the award-winning Hilton HHonors® guest reward program, our Sweet Dreams® by DoubleTree Sleep Experience and our industry-recognized Culture of CARE. Whatever your hotel travel plans, whether looking for a business hotel or family vacation resort, stay with us and you’ll see how we strive to create a truly rewarding hotel experience for our guests. To book a room visit here. If you have any questions about booking a room or the discount rate, please contact The DoubleTree by Hilton at 740.322.6455. Among Newark, OH hotels the Courtyard by Marriott Newark Granville hotel stands above the rest! Explore our new lobby with inviting, flexible spaces to work or relax in, free Wi-Fi throughout and easy access to the latest news, weather and airport conditions via our GoBoard®. The highlight of our new lobby experience is The Bistro - Eat. Drink. Connect.® which provides guests with healthy food and beverage offerings in the morning and evening dinner service with cocktails. This Newark, Ohio hotel near Denison University offers FREE wireless High Speed Internet and large work area in all guest rooms. Unwind in our Indoor Pool, Whirlpool Spa or on-site Fitness Center. Courtyard Newark Granville hotel is close to many area businesses and attractions such as Ohio State University - Newark Campus, The Reese Center, National Trail Raceway, The Longaberger Homestead as well as many dining and shopping selections. 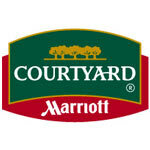 When choosing Newark Ohio hotels, Courtyard by Marriott Newark Granville is the perfect choice! Book your: Booking Link. Our unconventional layout makes us unique. The Main House and four other historical homes make up the 26 guest rooms at the Inn. All with amenities that you would expect at an upscale inn allowing our guests to immerse themselves in the history at the Buxton Inn. Inn's Website. Located in beautiful downtown Newark on the Northwest side of the courthouse square, Buckeye Winery produces and handcrafts more than 50 wines created with select juices from all over the world. Have a glass of our wine or a locally handcrafted beer and enjoy dinner with one of our award-winning handcrafted pizzas, made with our own special sauce. Panini’s and appetizers are also available and new to our menu! Available for dine-in and carry-out. To learn more visit: www.buckeyewinery.com. 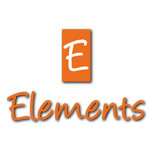 Elements, a full-service restaurant and lounge offers guests a truly unique casual dining experience. Choose to sit inside or on our outdoor patio and partake in a delicious meal prepared by our talented chefs from our all new menu; or enjoy an evening cocktail and friendly conversation amidst the warm glow of our indoor fireplaces or outdoor fire pit. Join us at the DoubleTree by Hilton Newark, Ohio for a variety of signature drinks and flavorful dishes at Elements Local Bistro, located on the first floor adjacent to the front lobby. Our full-service, on-site restaurant offers a truly unique casual dining experience for every guest. To learn more click here. We put a contemporary spin on classic American cooking and serve it in a relaxed casual space on the square downtown. We serve lunch and dinner every day of the week with an extended brunch on the weekends. We are a great destination before or after the show. 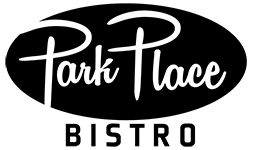 To learn more visit: www.parkplacebistro.com. The Palumbo family, Cindy and Paul, have opened their second Italian Market in September 2014 on the square in Newark, where they are partnering with their friends from River Road Coffeehouse to bring a unique experience to downtown Newark. Palumbo’s Market On the Square provides freshly made sandwiches, soups, salads, and desserts for eat-in or take-out. Fresh roasted nuts are also available. Business people and visitors alike will enjoy the freshness of our menu items for lunch and dinner. To learn more visit: www.palumbosmarket.com.